Does Thieves Essential Oil Really Work? Science Has a Say. Even if you’re not familiar with the world of essential oils, you may have heard of the famous Thieves blend being used for killing germs and supporting a healthy immune system. It was actually the reason I first decided to give essential oils a try (because I honestly thought it was hokey, and frankly did not like scents). So – does Thieves essential oil really work? Sound scientific research is very important to me, so I’m going to share what I’ve found. The Young Living Thieves blend of essential oils (this is why I primarily use Young Living oils) is made up of Clove, Lemon, Cinnamon Bark, Eucalyptus Radiata, and Rosemary. The legend is that 15th century thieves rubbed these oils on themselves during the plague so as not to contract disease while robbing the dead and dying. Deans & Ritchie (1987) looked at 50 different essential oils and their antibacterial properties against 25 types of bacteria. The 10 most inhibitory and comprehensively inhibitory oils included Cinnamon and Clove. Fu et al (2007) looked at the antimicrobial activity of Clove and Rosemary alone and in combination. Both on their own had significant effects against 3 Gram-positive bacteria, 3 Gram-negative bacteria, and 2 fungi, and the combination of the two oils together had additive, synergistic, or antagonistic effects against each microorganism. Kalemba & Kunicka (2003) did a review paper of hundreds of studies documenting essential oils and their antimicrobial properties. They stated that Thyme, Oregano, Mint, Cinnamon, Clove, and Salvia had the strongest antimicrobial properties. Mayaud et al (2008) looked at 13 essential oils and their effect on 65 bacterial strains with varying sensitivity to antibiotics. Their conclusion was that Cinnamon Bark had the highest antimicrobial activity, especially against resistant strains. Warnke et al (2009) looked at the effect of several essential oils (Eucalyptus, Tea Tree, Thyme white, Lavender, Lemon, Lemongrass, Cinnamon, Grapefruit, Clove Bud, Sandalwood, Peppermint, Kunzea, and Sage) on antibiotic-resistant strains of bacteria (people get infected often through hospital stays). (I can say for a fact that MRSA which was tested in this study, has been running rampant in our local hospitals for several years.) They found that the strongest oils for inhibiting the bacteria were Thyme white, Lemon, Lemongrass, and Cinnamon. They also found that the other oils also demonstrated considerable efficacy and state that “essential oils represent a cheap and effective antiseptic topical treatment option even for antibiotic-resistant strains as MRSA and antimycotic-resistant Candida species“. (This article comes from a sound peer-reviewed journal I’m familiar with, the Journal of Cranio-Maxillofacial Surgery.) Warnke did another study showing the same results with a focus on Lemongrass, Eucalyptus and Tea Tree oils (2013). Goni et al (2009) found that vapour generated by a combination of cinnamon and clove essential oils prevented the growth of 4 types of Gram-negative and 4 types of Gram-positive bacteria. I have seen some writings from people who say that the “Thieves thing” is a total scam. And that this evidence is useless because it wasn’t done in “real world” situations. So I was very excited to see this home experiment done by someone with a PhD in biochemistry – who also does not use essential oils on a regular basis; so she really wanted to look at this for the science of it. Guess what? Thieves killed bacteria – better than vinegar, and just as well as hydrogen peroxide. She’s going to be doing more experiments and I’m excited to see the results. 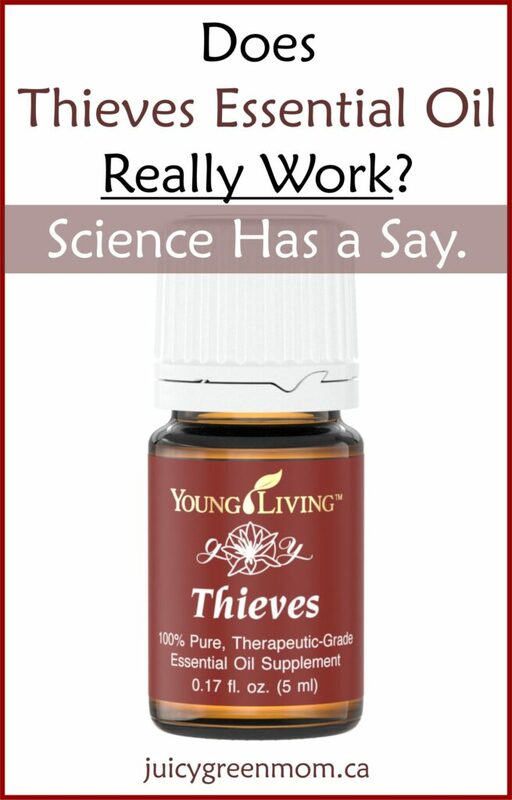 Other essential oils companies do have some of their own versions of “Thieves” blends as well. And there are lots of DIY Thieves recipes out there on Pinterest. What do you think about using essential oils for killing germs? Young Living’s Thieves blend is registered in Canada as a Natural Health Product, shown to help relieve colds and coughs. Deans SG, Ritchie G. Antibacterial properties of plant essential oils. International Journal of Food Microbiology 1987; 5(2): 165–180. Fu Y, Zu Y, Chen L, Shi X, Wang Z, Sun S, Efferth T. Antimicrobial activity of clove and rosemary essential oils alone and in combination. Phytother Res 2007; 21(10): 989-94. Goni P, Lopez P, Sanchez C, Gomez-Lus R, Becerril R, Nerin C. Antimicrobial activity in the vapour phase of a combination of cinnamon and clove essential oils. Food Chemistry 2009; 116(4): 982–989. Kalemba D, Kunicka A. Antibacterial and antifungal properties of essential oils. Curr Med Chem 2003;10(10): 813-29. Mayaud L, Carricajo A, Zhiri A, Aubert G. Comparison of bacteriostatic and bactericidal activity of 13 essential oils against strains with varying sensitivity to antibiotics. Letters in Applied Microbiology 2008; 47(3): 167–173. Warnke PH, Becker ST, Podschun R, Sivanathan S, Springer IN, Russo PAJ, Wiltfang J, Fickenscher H, Sherry E (2009). The The battle against multi-resistant strains: Renaissance of antimicrobial essential oils as a promising force to fight hospital-acquired infections. Journal of Cranio-Maxillofacial Surgery 2009; 37(7): 392-397. Warnke PH, Lott AJS, Sherry E, Wiltfang J, Podschun R. The ongoing battle against multi-resistant strains: In-vitro inhibition of hospital-acquired MRSA, VRE, Pseudomonas, ESBL E. coli and Klebsiella species in the presence of plant-derived antiseptic oils. Journal of Cranio-Maxillofacial Surgery 2013; 41(4): 321–326. Is Chewing Gum Bad for the Environment? Are the scientific studies based on spraying it in the air, or applying it to surfaces? Most of them are applied to surfaces; I have indicated on a few of the summaries when they used vapour instead. Thank you. This does give me more confidence that the essential oils will actually kill germs. You’re welcome! It’s nice to see evidence – personal testimonies are one thing, but real studies are another. Thanks Alyssa! I did actually link to that at the end of my post – the experiments she’s doing are great! Really interesting stuff. I always wonder what is the difference is between the oils and say just squeezing some fresh lemon juice (for example) into a glass of water? Is it just the concentration? I believe the oil from the rind is much more effective, the juice is not oil and does not contain any oil. I have always put lemon juice in my water. I have never had the results that I have now that I use the lemon oil! Thanks for sharing – that’s wonderful to hear! Hi Angela, Are you referring to this article? 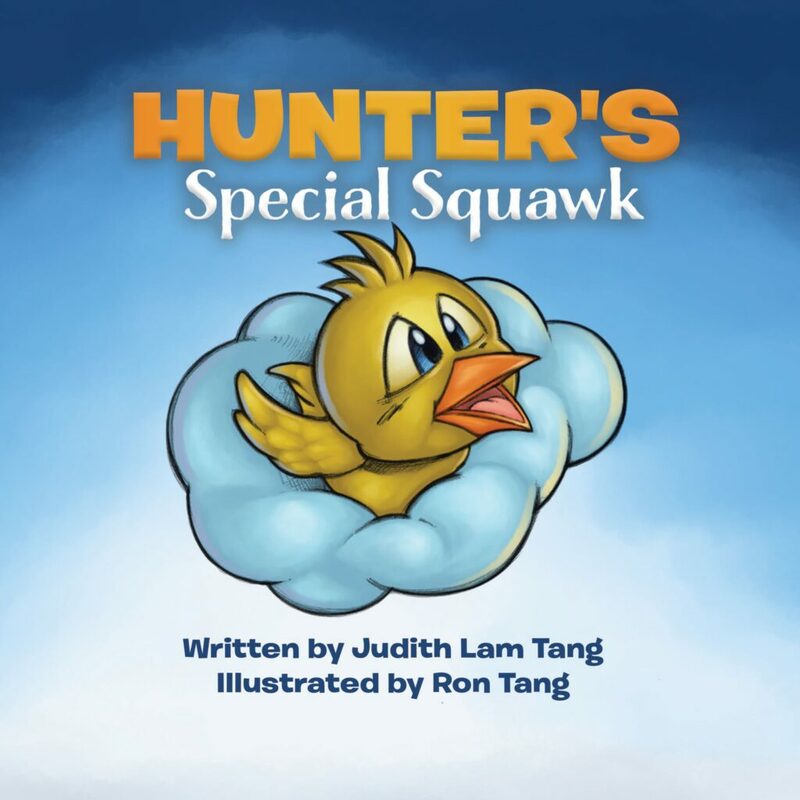 I wrote this (Judith Lam Tang) and published it on my blog here at juicy green mom. The research articles I talk about in my article are referenced at the bottom of the post. Hope this helps. I joined Young Living because of Thieves. I swear by the stuff, in a diffuser and I put a couple drops on my tongue when I’m feeling congested. Your post just helps prove it’s not all in my head, or rather the placebo effect. Thanks for your comment, Julie! I wholeheartedly agree with you. I wasn’t a believer at all until Thieves. On TV local news last year there was a report on a middle school student who tested the germ killing ability of bleach vs. Thieves (Young Living) Oil. The oil killed more germs than the bleach. Last winter my husband was in end stage liver cancer. Due to Bill’s weakened immune system, I diffused thieves essential oil everyday to prevent the spread of airborne illness from all the visitors and hospice workers. We were confined to our home. Everyone had to wash their hands upon entering. I made a foaming hand soap with thieves oil to kill surface germs too. Neither of us ever got so much as a sniffle all winter long. That’s amazing! Thank you for sharing! Hi Judith, I would like to specifically ask you your thoughts on boosting your immune system with a “roller” of theives and carrier oil. I also use and love Young living, but have been skeptical that Thieves, applied topically, stimulates your immune system. I really like the study about diffusing… But we have very tall vaulted ceilings and unfortunately I feel that it is a waste most of the time to diffuse anywhere other than my bedroom. After being laid up all last week I’m trying to really stay on top of my immune-boosting… Taking Elder Berry syrup and Echinacea and vitamin C… I would use a thieves roller but I just have not seen any support for its use scientifically. Thanks! Hi Anna, Thanks for your question. I don’t know of any scientific studies that talk about the Thieves blend used topically either. However, I do use it topically on a regular basis. In general my family’s health is better than it used to be, but this could be attributed to a lot of things. Topical application of Thieves with a carrier oil is one of the many things we use in addition to diffusing it. I appreciate your reply! Thanks! I’m super confused. The dr. Annie’s at home experiments that you mentioned at the end of this blog shows that thieves had no indications of disinfecting or bacteria killing/resistance. It basically disproves your claim. I love the smell of thieves and use it all the time, but I’m having a hard time coming around to the idea that it works as anything other than a scent. Ahh I found the difference. Dr Annie claims that her experiments show that pure thieves or thieves cleaner works to disinfect. However, either one of them diluted does not. In the case of the cleaner which the bottle says to dilute 1:4 — she said it’s no longer effective.